The Pin up Diaries: Essence Legends of the sky Trend Edition review & I getto wear my new hat! 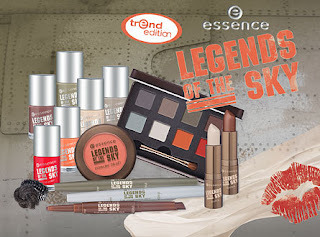 Essence Legends of the sky Trend Edition review & I getto wear my new hat! 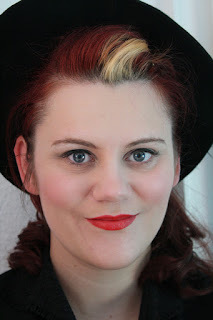 I chose to use the khaki-greenish and the brown one for a 40s inspired make up... As you can see the colour is suitable for day wear but not necessarily for photoshootings because there is not that much pigmentation going on there and I hate my hair. 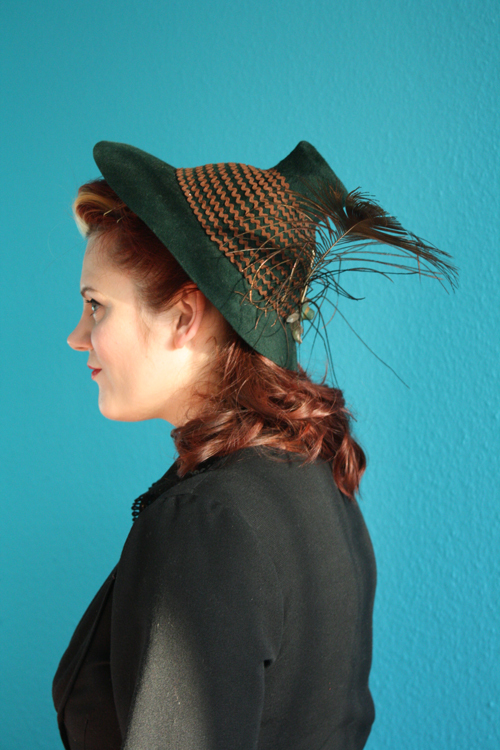 (I curled the damn hair for over an hour and it didn´t turn out the way I wanted it. The darn curls fell out straight away :-( I must get myself a perm again!) The metal box, the palette comes in, is ideal for travelling, but does not look very retro. So I say - buy it for day-wear, but don´t expect to do much pin upping with it. 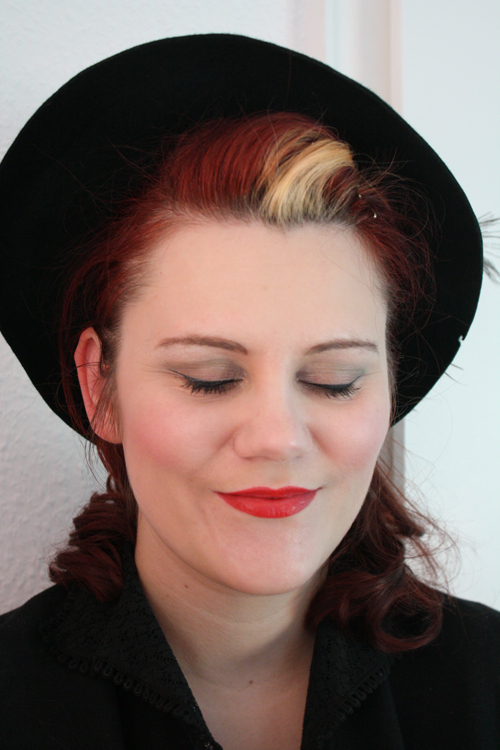 It is not really a must-have for the retro gal! It´s ok, but advertising it as a 40s inspired edition is a fail in my oppinion. 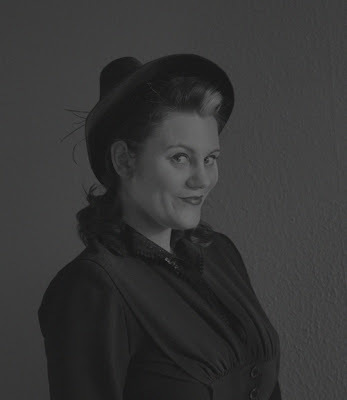 Don´t see anything SCREAMING 40s to me?! ein größeres Bild vom AMU wäre schön!